In our series on biblical counseling, questions have come up about what issues are medical and whether or not medicine helps with these issues of the heart. Will Medicine Stop the Pain? is a book written to bring clarity to this confusing issue and bring hope from the Word of God to those struggling with these issues. This book will describe how your body and emotions affect each other. It will address why drugs that “work” may end up making your emotional problems worse. 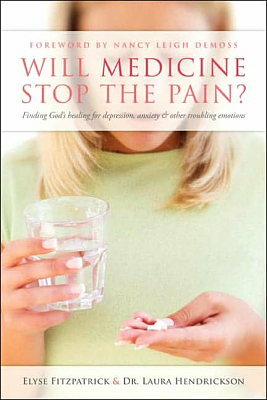 And, most importantly, it will describe how applying biblical principles can help deal with the true sources of your pain, discouragement, anxiety, worry, etc. Although written for women, this book is a great resource for understanding how God wants us to address issues of the heart and the troubling emotions we often encounter in living in a fallen world. It offers clear answers to help you live an emotionally-stable, God-glorifying life without capitulating to the worldly thinking that surrounds this issue. Read and be encouraged!